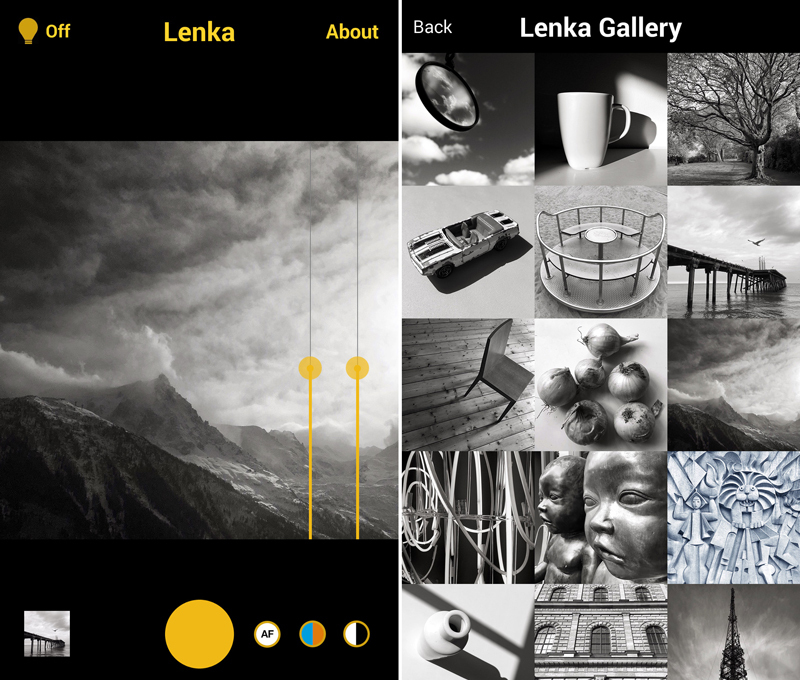 Lenka, the black-and-white photo app by photographer Kevin Abosch that has taken the monochrome shooting set by storm, has now released an Android version. The app, months in development after its debut on iOS, now runs on devices running Android 4.1 or later. Developing Lenka on Android was a particular challenge because of the variety of devices running the OS. Tap the lightbulb icon to illuminate subjects with constant light — there’s no flash. Lenka also doesn’t support front-facing cameras, which means — thankfully — no selfies. Crop and rotate are the only editing features available. As with the iPhone version, you can shoot by pressing the volume button or use the large yellow button on screen. You can share your work on social networks and Instagram. In other news, the company also announced the launch of Lenka Grid, a curated gallery of images from Lenka photographers worldwide.